Surely that was a sarcastic joke, wasn't it? 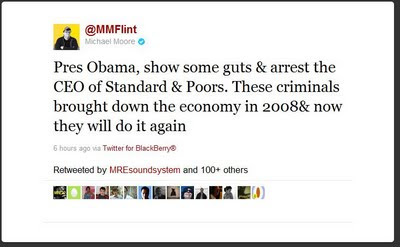 Oh no, I see it came from Michael Moore, silly me. of course it's sarcastic silly? london's burning over a bit of sarcasism as well?